The Happiest Place on Earth just got a whole lot grumpier. 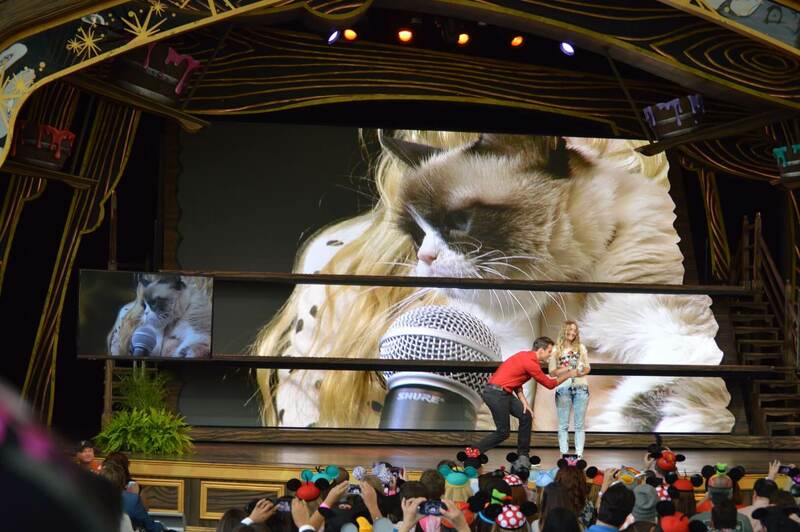 Internet-famous Grumpy Cat made a special appearance at Disneyland today as part of their latest promotion dubbed “Disney Side” in which fans are invited to show off their own Disney-inspired styles. 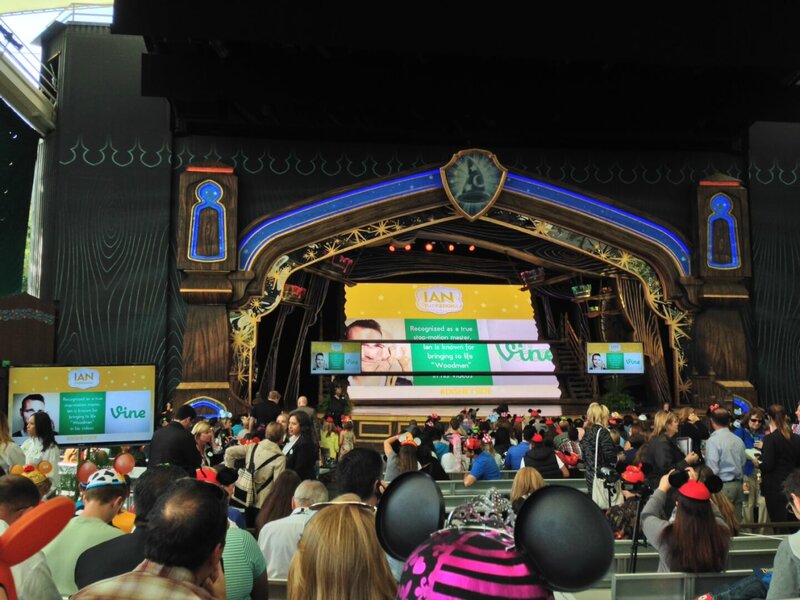 During today’s special event, a variety of social media stars showed up to the theme park to meet-and-greet with park guests, including YouTubers Mike Tompkins, Tiffany Alvord, Reality Changers and Mindy McKnight of CuteGirlsHairstyles.com. But the standout star amidst the crowd of “celebrities” was Grumpy Cat, who came face to face with Grumpy (of Disney’s Seven Dwarfs) earlier today. 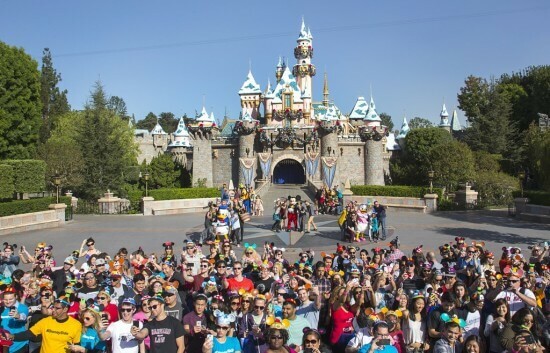 The social media stars first gathered in front of Sleeping Beauty castle to all take selfies together with Disney characters, including Mickey Mouse. The group image was captured to create a unique moment at the “most Instagrammed” place in the United States. The event brought attendees into the Fantasyland Theater for special performances and appearances. Cameron Mathison hosted the online celebrities at Disneyland. 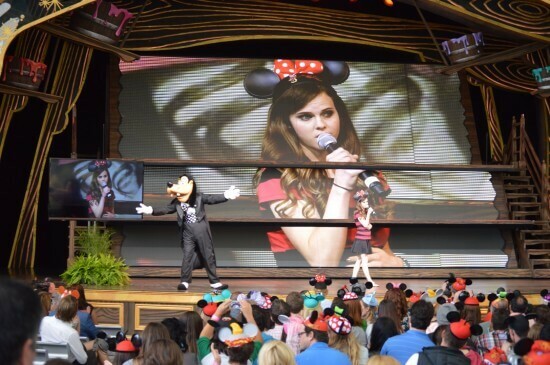 Then Tiffany Alvord sang her take on “it’s a small world” alongside Goofy. Alvord, 20, has more than 1.5 million subscribers to her YouTube channel and her videos have been viewed more than 350 million times. She has recorded two albums of original music and performed before 2 million people in Times Square on New Year’s Eve. 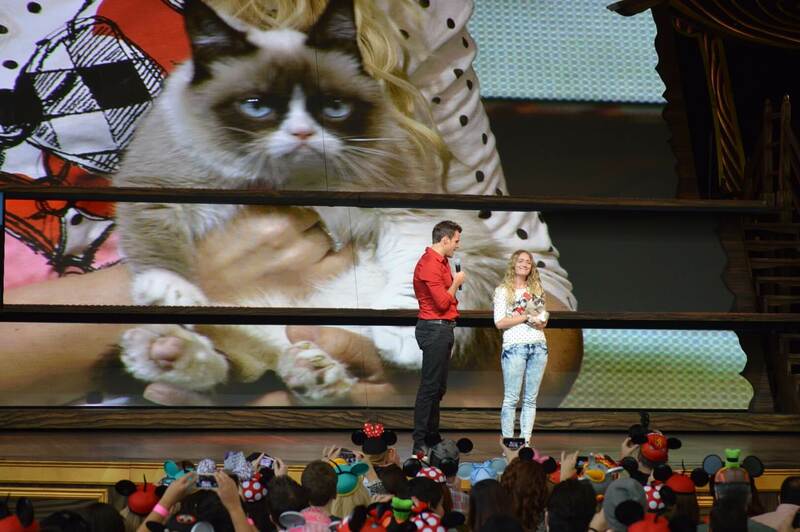 Grumpy Cat brought big attention, emerging on stage with her owner. 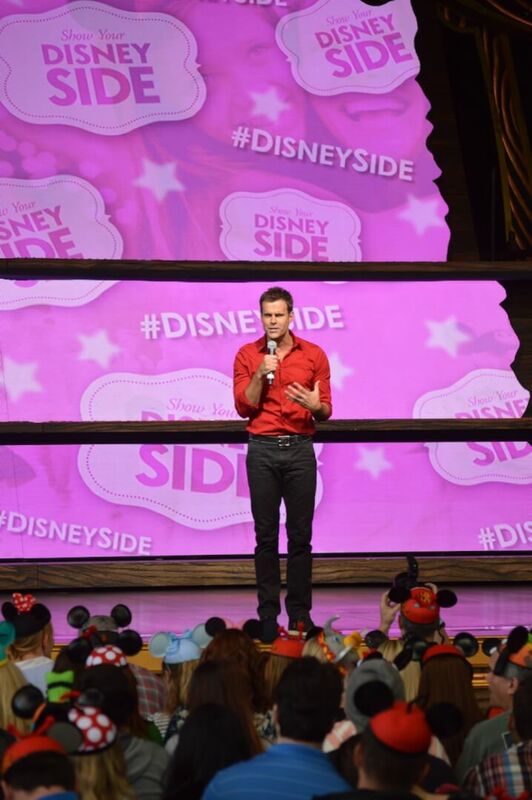 It was awful. 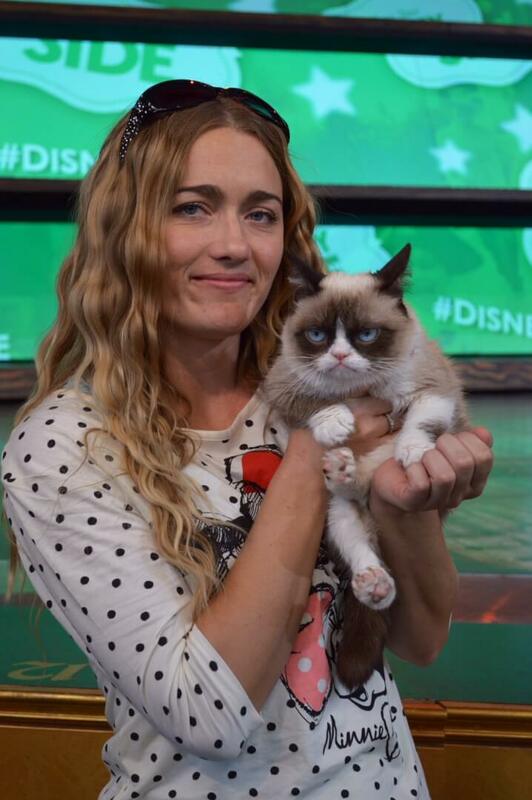 Grumpy Cat’s real name is Tardar Sauce, born on April 4, 2012 – a star six months later when a photo of the feline was posted on the social news site Reddit. The kitten with the permanent scowl quickly became a social media phenomenon. “The Official Grumpy Cat” on Facebook has nearly 2 million followers, and the official Grumpy Cat book was just published. Grumpy Cat was featured on the front page of The Wall Street Journal and New York Magazine, and has appeared on network TV morning shows. 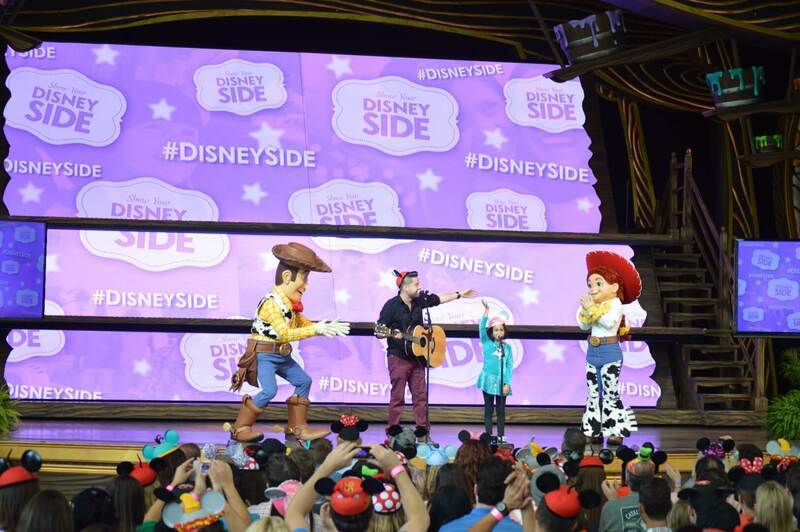 Next on stage were Reality Changers, Jorge and Alexa Narvaez. 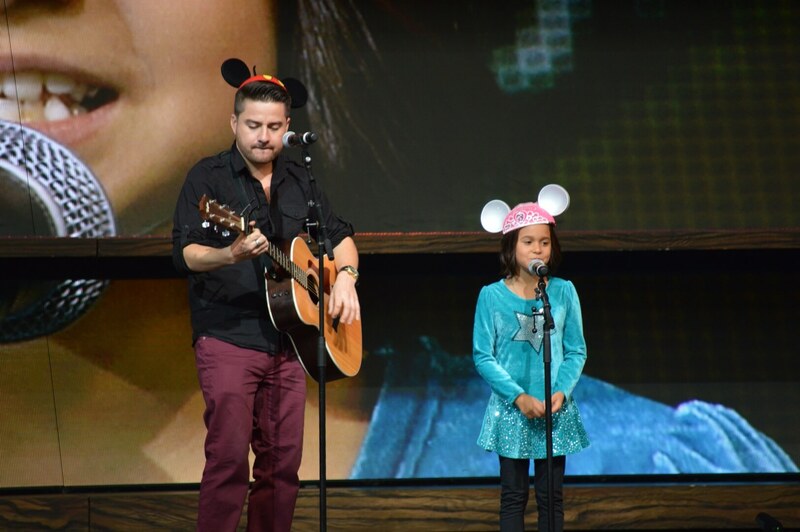 The San Diego father and daughter became Internet sensations with a video of Jorge and Alexa, now 8, performing “Rolling in the Deep.” That first video received millions of views. Since then, Jorge and Alexa – who sometimes perform with little sister, Eliana – have released a series of videos, performed on The Ellen Degeneres Show, and had their music featured in an automobile commercial. They were followed by Trotter Pup and Sonya Yu. 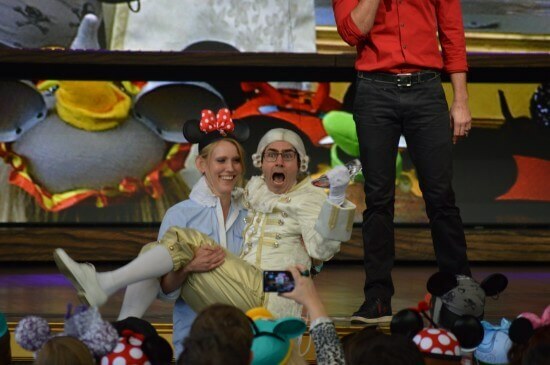 Mark Malkoff arrived in search of a princess. 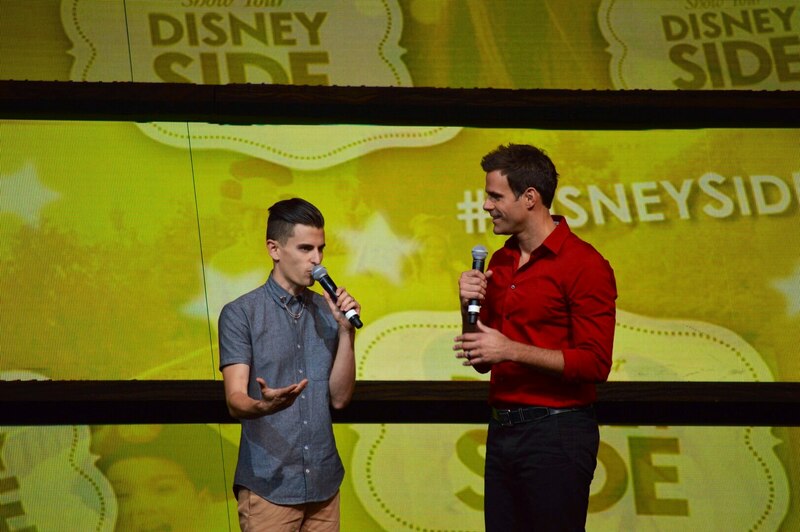 Lastly, Mike Tompkins sang “When You Wish Upon a Star.” Tompkins, 24, is a singer/songwriter whose ability to orchestrate songs with only his voice has amazed audiences around the world – and online, where his videos have accumulated more than 130 million views in the last three years. 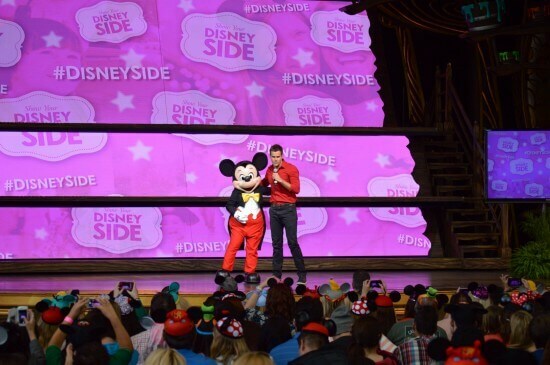 And with that, Disneyland officially launched the Disney Side promotion with a little help from Mickey Mouse. Disneyland then offered a event attendees a brief chance to meet with the social media stars, including those mentioned above plus the Ridiculously Photogenic Guy and a few others. 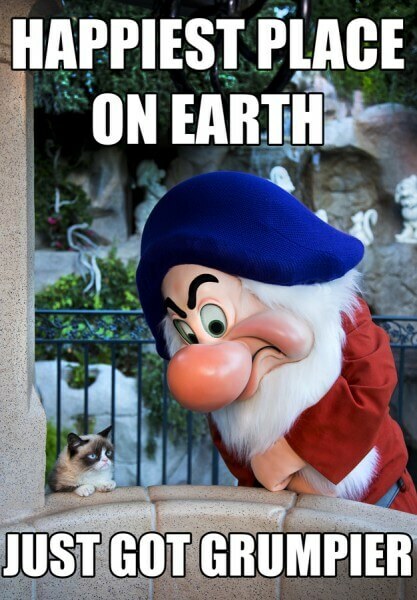 Grumpy Cat’s line instantly became the longest, getting cut off quickly after opening, leaving the rest of the guests visiting with the other e-lebrities. 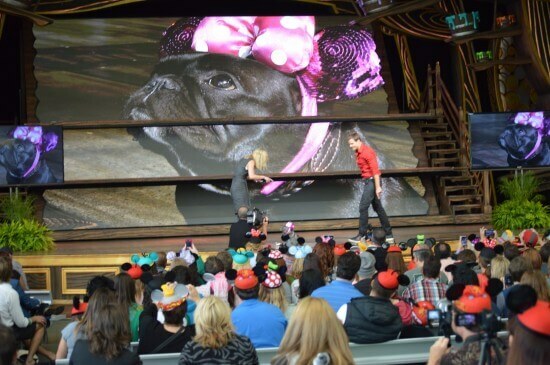 So what was the point of all of this, aside from offering around 700 guests a chance to meet a few online pseudo-celebrities? 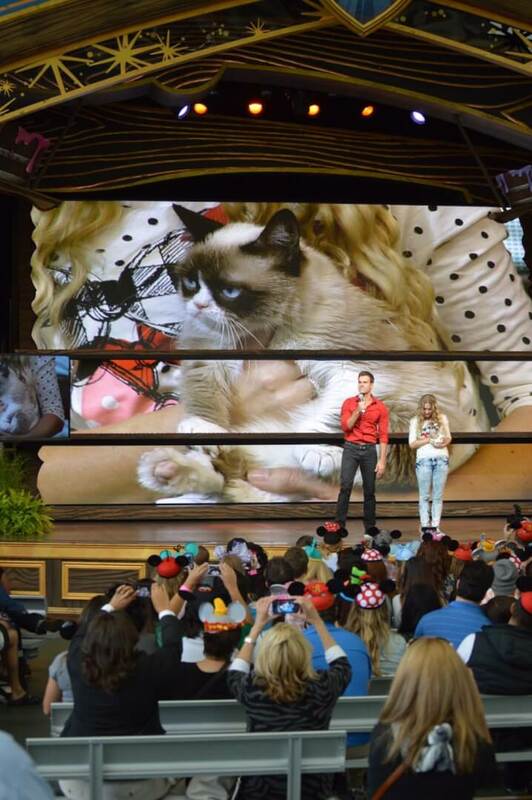 I wonder if Grumpy Cat would appear at other theme parks like Universal or SeaWorld. and other data, is there any other web site which provides these kinds of stuff in quality?